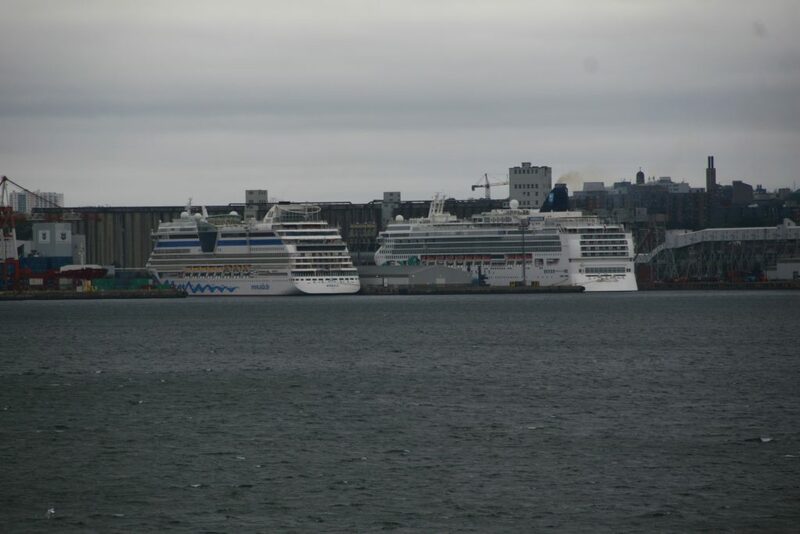 (Above) 5 Ships are packed in at the terminals, bringing over 11000 passengers to port today. 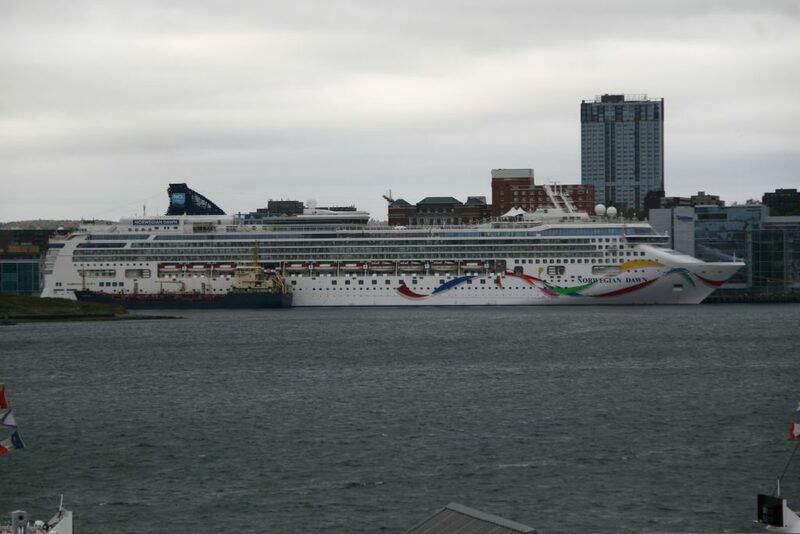 (Above) Norwegian Dawn at pier 20 taking bunkers from Algoma Dartmouth. (below) Royal Caribbeans Anthem of the Seas at Pier 22. 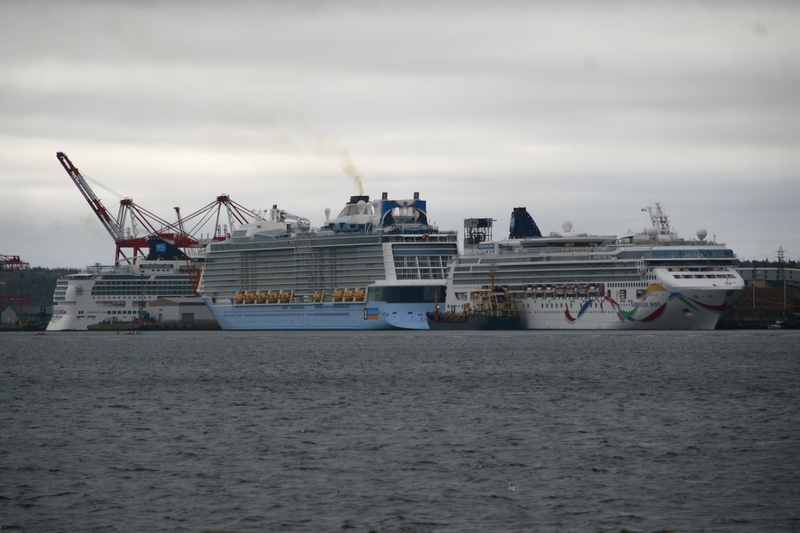 AidaDiva (Left) Norwegian Jade(right) Not shown is Seabourn Quest at Pier 24. 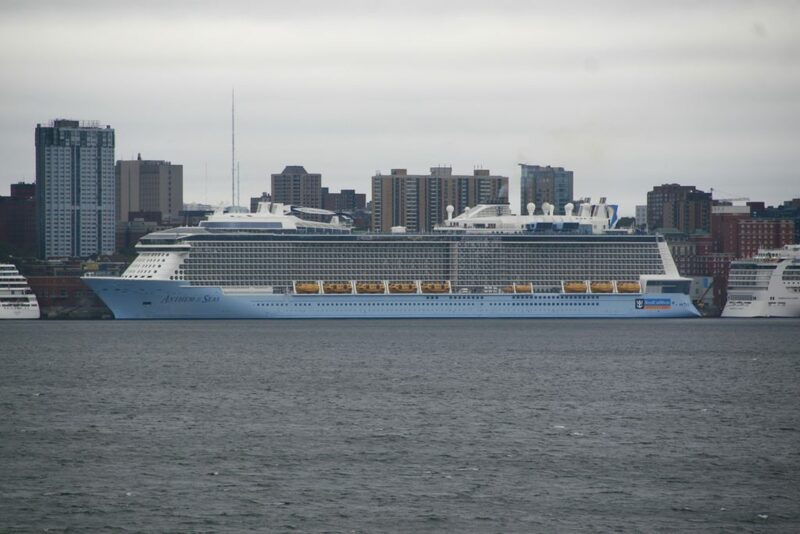 This entry was posted in cruise ship on October 9, 2018 by Peter.